Rochester is one of New Hampshire’s largest cities and is home to almost 30,000 people. Despite its size, Rochester has held onto its small-town feel while offering residents the convenience of a thriving city. Situated between the Lakes Region, the White Mountains, and the Seacoast, Rochester’s location is ideal for those looking to experience all New Hampshire has to offer. Rochester is known as the “Lilac City”. In the warmer months, the entire city is blanketed in the beautiful purple flowers. 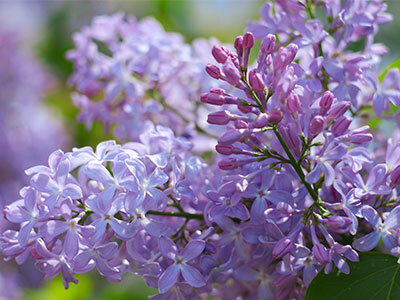 Every spring Rochester celebrates the annual Lilac Family Fun Festival. Other city wide events include a summer festival at the Rochester Commons, a 4th of July celebration with fireworks and activities for the whole family, the Rochester Fair which has been held for over 120 years, and the holiday parade in the winter. Residents in Rochester enjoy spending time outdoors at some of the city’s numerous walking paths, rivers, ponds, lakes, and ball fields. Residents also enjoy spending time at the Rochester Country Club golf course which offers both indoor and outdoor golf allowing residents to enjoy golf year round. Rochester is also home to a growing arts community centered around George G. Adams, the George G. Adams Rochester Opera House, and the Performance and Arts Center. Rochester continues to grow as businesses and industrial expansion attracts new businesses and residents to the area. Rochester provides residents with an attractive downtown area and several malls and plaza. Antiques, footwear, appliances, pharmacies, restaurants and a variety of services are found in downtown Rochester and small boutiques to large department and grocery stores are found at several plazas and malls located throughout the City. Excellent educational advantages are available to residents. Rochester schools are part of SAU 54. There are several elementary schools throughout the city with all students attending Rochester Middle School and Spaulding High School. In addition to more traditional curriculums, students also have the opportunity to attend the Richard W. Creteau Regional Technology Center which provides hands-on training for students looking to start careers in a trade. Combined with its natural beauty, easy access, and many opportunities, Rochester is a great place to call home.